Have you noticed how much better you take care of something when you’ve earned it instead of having something given to you? When I was 16 my mom decided to buy me a grandma car. It was an old Oldsmobile. I was so excited to have my own car. Do you know what I did to that car? Anything I wanted! I beat the crap out that thing. I let anybody drive it, even if it was to do donuts in the parking lot. I didn’t do anything to take care of it. Unsurprisingly, the car completely fell apart a few months later. My mom had no money to buy me a new vehicle and neither did I. I had to start walking or ask friends for a ride. I ended up getting a job and the next year I bought my own car. I took much better care of it. I paid for the gas and the insurance. I still had that car when I got married. Funny side story, I had moved out after High School and lived in an apartment complex when one day I accidentally ran into a pole in the parking lot. I hit the driver side door and it wouldn't open anymore, so I had to climb out the passenger side or through the window to get in or out. Luckily, when I got engaged my sweet husband had it fixed. Bless his heart. Anyway, my point is that I took care of it because I had to work hard to get it. The same idea can be applied to just about anything. Even our kids. 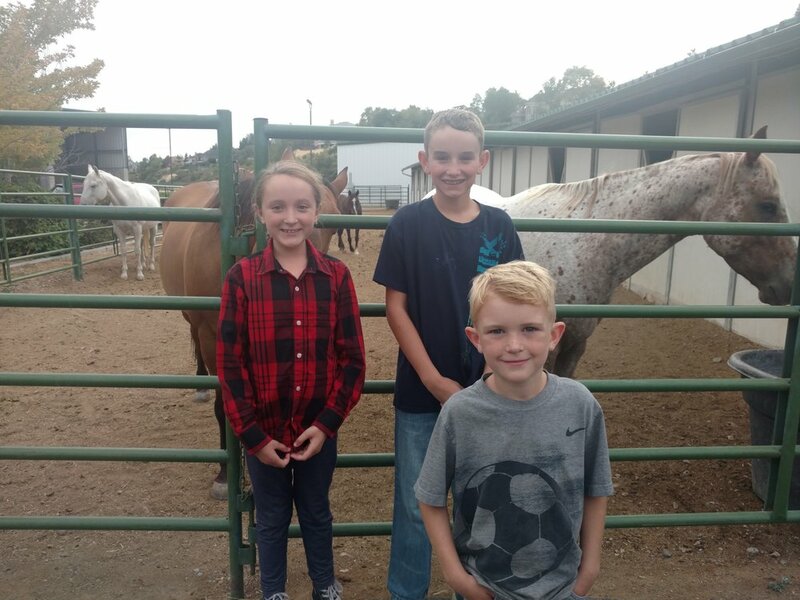 My sweet little nine year old, Tess, wanted nothing more than to take horse lessons. I thought it was just a phase and I told her I would look into it, hoping that she would forget. She didn’t. I told her she had to start researching how much the lessons would cost. She called several places and found their prices. I had no idea that horse lessons were so incredibly expensive. I wasn’t up for selling off any of my organs, so I told the poor thing that it wasn’t in the budget to sign her up. She was so sad. I let her know that if she could figure out a way to pay for them that I would take her. The little lady took it to heart. She started getting real friendly with our neighbors who have horses. They let her come over whenever they were out with the wild beasts. She got to help take care of them and in return my awesome neighbors started teaching her all about horses and riding. Then the lucky day came. They wanted to hire my Tess to feed their cats while they were out of town. She asked that instead of paying her if they could give her and her brothers horse riding lessons? My neighbor said yes! My little girl had done it. She found something she really wanted and then found a way to get it. I’m not trying to make a blanket statement. That if you give your kids something that they’re going to trash it, or if you pay for them to do something that they won’t take it serious. I know there are plenty of great kids who take good care of things given to them or try really hard when mom and dad are paying the bill for the lesson. However, looking back I know when I had to pay for something on my own it meant a whole lot more. Three of my kids play an instrument. My son, Porter, plays guitar and ukulele. He wanted a guitar; I told him to buy his own. He did. He then went on YouTube and learned how to play. He practices his instruments ALL the time on his own. He has started a band and even teaches lessons now. It really is quite impressive. My two other kids play the piano. I pay the bill and I bought the piano, well technically my husband does, but what’s his is mine, right? Anyway, they like piano and they practice because I make them, but they don’t give it the same effort as their brother. Teaching your kids how to get something they want will help them much more in life than just giving them what they want.